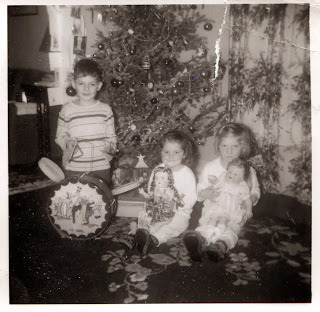 From long ago and far away, this picture was taken when I was a child and includes my brother (with the drums), me in the middle, and my sister on the right. This is always a wonderful time of the year to be a child. Happy holiday, everyone! Merry Christmas Evlyn and Happy New Year!